It happens on occasion that an individual becomes so connected with the identity of an organization that the two seem to coexist as a single entity. Such is the case with Norman S. Rice and the Albany Institute. 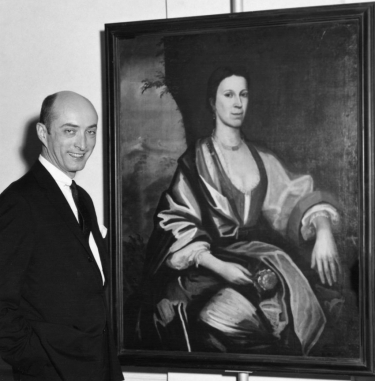 Since his arrival in 1953 as curator, to the present day and his somewhat less demanding role as director emeritus, Rice has kept the Institute and Albany’s rich cultural history forefront in his thoughts and actions. During those sixty years, he has been the facilitator, and in some cases the actual donor, of many of the Institute’s greatest treasures. In the exhibition Sixty Years and Still Collecting: Norman S. Rice, a sample of Rice’s favorite objects will be the focus of attention.